Who Has an Awesome Neuro in PA, NJ or NY? I received an email from someone who found my posts at the New Jersey Center for Tourette Syndrome. She lives in Hopetown, PA and has a son with mild T.S. symptoms that get worse in Spring. Anyone have a great neuro they can recommend in either PA, NJ or NY that you LOVE LOVE LOVE – especially considering the distance she might drive? What about a homeopath or environmental doc? On a side note, my son’s tics have been up lately. Spring seems to always bring them on, along with some more impulsive behavior. For you new moms out there, don’t panic. He’s not screaming obscenities or knocking down random toddlers in play areas. (Sheessssh… T.S. can get some pretty bad press.) He is, however, much more obstinate. He’s not as quick to listen. He’s moodier. He’s shorter with his temper. With a zit on his nose. Um… me thinks the teen years loom close. Can’t blame everything on T.S., now can I? * Pic above has nothing to do with the post. I just want it. 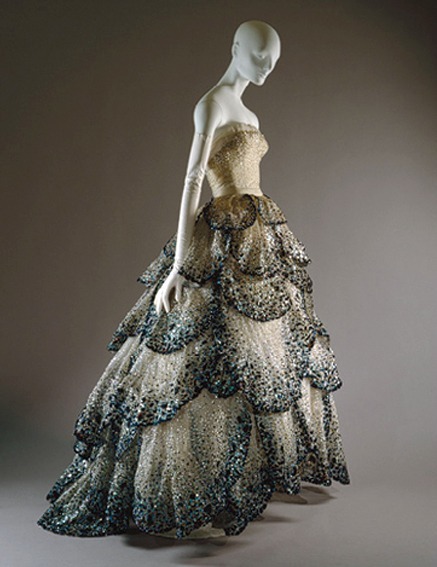 It’s by Chritian Dior and it’s so fabulous! I might look like a six one drag queen. Or a menopausal mermaid. Since my Topanga T (my bff) and I are watching our words, however, let me just go with forest nymph. It’s all good until small animals start pecking my toe nails. Thank you for you response! So nice.